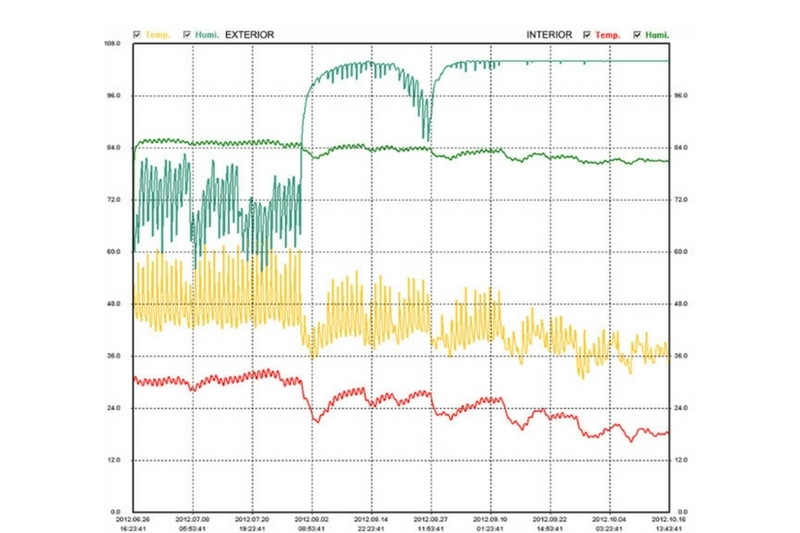 Measurement of power consumption by two “OWL” devices per household, one connected to the power lines of major appliances (fridge, oven, stove, washing machine, etc. ), and another line connected to lighting and conventional sockets. Another “OWL” will be installed at the community meter. 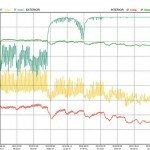 Measurement and control of consumption of biomass from the data obtained by each “TERMOBOX M”. 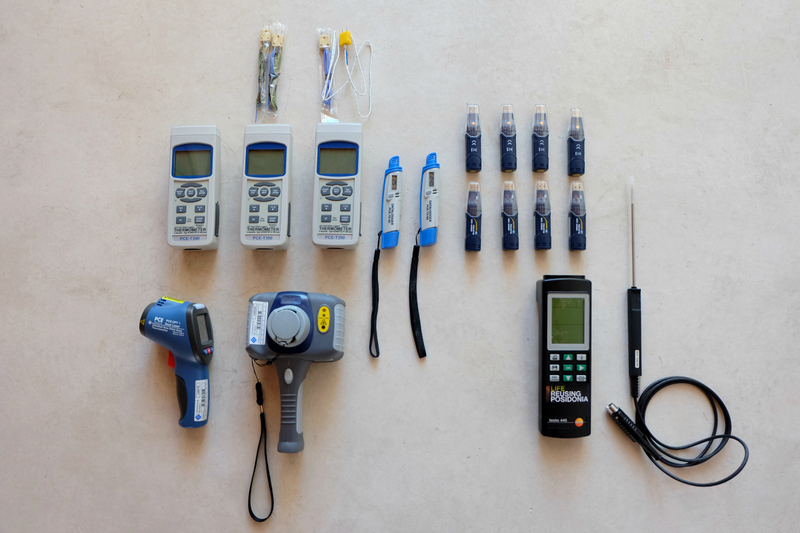 Monitoring of indoor temperatures, breezes speed, humidity, and magnitude of electromagnetic fields along 6 test campaigns in four days each one, in order to evaluate four different dwellings. Measurement of indoor temperature and humidity in two different dwellings, over 330 days (determined by the useful life of the sensors battery), by placing four sensors, two on the inside and two on the outside. OWL device. Meter of power (electricity) consumption. EC060V imager. Passive infrared camera to detect thermal bridges. SPECTRAN Spectrum Analyzer HF- 60100 V4. 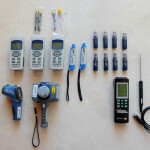 Electronic measuring equipment for electromagnetic fields. Temperature & Humidity data logger PCE- HT 7. Sensor to measure temperature and humidity for long term.